The post How to Stop Toy Guarding in Puppies by Victoria Stilwell appeared first on Dogster. Copying over entire articles infringes on copyright laws. You may not be aware of it, but all of these articles were assigned, contracted and paid for, so they aren’t considered public domain. However, we appreciate that you like the article and would love it if you continued sharing just the first paragraph of an article, then linking out to the rest of the piece on Dogster.com. Most dogs love their toys, but sometimes they love them just a little too much. Toy guarding and hoarding behaviors are very common. So, what’s acceptable and what isn’t? And what can you do about it? Some amount of toy guarding IS normal. Photography ©Mexitographer | Getty Images. It’s normal for dogs to hide their toys or bones as if they’re saving them for later, and it’s even normal in dogs who have an abundance of toys available to them at all times. If you would like these behaviors to stop, however, try limiting the amount of toys and bones your dog has access to at a given time. 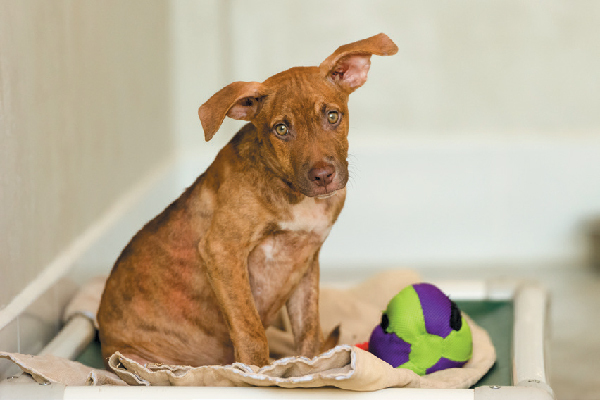 You’ll likely see the hoarding behavior lessen as your dog relaxes because there is not as much of a “surplus” to hide. Now, if your dog is resource-guarding toys (growling, snapping or biting if you try to take them away), this is a different matter altogether. Resource guarding, whether it involves food, toys or even a human, is rooted in a dog’s instinctual need for safety and survival. In the mind of a resource-guarding dog, the people or other dogs in the household represent a threat, causing the dog to guard objects to keep himself safe and comfortable. If I walked up to you and tried to steal your car keys, your wallet and your cellphone, I would be taking away the key elements you need for your safety and survival. Would you happily hand those items over to me, or would you be frightened or angry at the thought of losing them? We alarm our cars and our homes in order to protect our resources; why can’t a dog do the same in his own way? Unfortunately, there’s a pervasive myth that resource guarding is the result of a dog trying to exert dominance. As a result, well-meaning pet parents believe they need to be confrontational with their resource-guarding dogs in order to gain “control” over them and force them into submission. But because the behavior is actually rooted in insecurity, and the dog feeling unsafe or unsure in his environment, this approach is highly dangerous and ineffective, often leading to the behavior getting worse. A confrontational approach only serves to validate the dog’s insecurity and can get people snapped at or bitten. 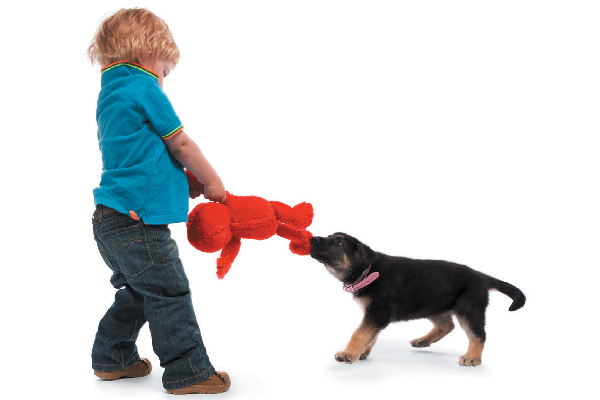 You can prevent toy aggression from developing in the first place! Photography ©MediaProduction | Getty Images. A great way to prevent toy aggression from ever developing, or to help improve the problem once it has already started, is to remove confrontation from the equation and make dropping toys a fun and stress-free game instead. The key is to make that second toy infinitely more interesting than the first. Soon you will be seen as the giver of exciting new toys, rather than the person who comes to take away valued objects. Not only will you eliminate confrontation and avoid being bitten, you’ll also be building up a great bond with your dog in the process. Resource guarding is a difficult behavior to cope with, especially if you have young children or live in a multi-dog household, but focus on what you want from your dog, rather than correcting for the behaviors you do not want. You’ll find that your dog is eager to learn and will trust you to provide him with a safe, low-stress environment where he does not feel the need to guard or protect things of value.